A lovely circular walk on flat bridleways, approx 2 miles. Allow about 2 hours. 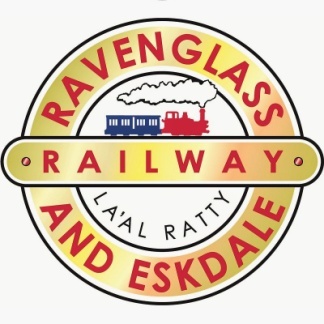 The River Esk starts its life amongst Lakeland's highest mountains and journeys down the valley to the sea at Ravenglass. 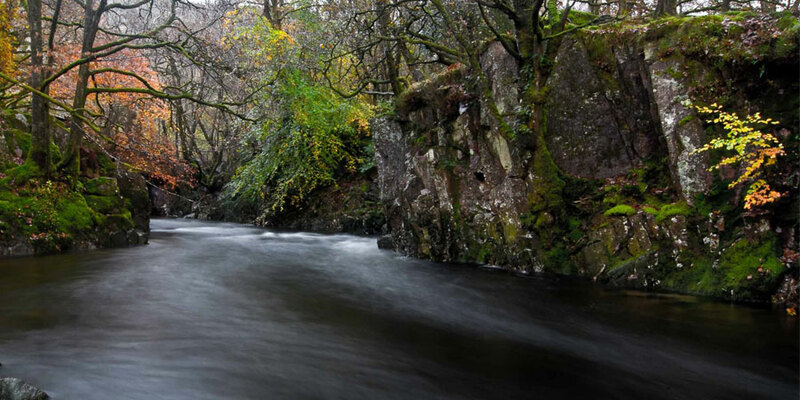 In mid-Eskdale, round Boot and Dalegarth, it is at its most playful - with whitewater rapids, eddying pools, cascades and ravines. At either end of the walk, bridges span deep clefts in the rock - at Trough House Bridge and Gill Force - while, in between, the river splashes over stones and eddies into the fern-clad banks. Swallows skim over the river's shadowy shallows, and the sunlight seems caught in the breeze-shimmering leaves of silver birches. It is a short walk, but the beauty and variety of the landscape rewards those who linger a while and take in the rhythm of the river, the birds and wildlife, and the ever-changing views of the surrounding crags and fells. 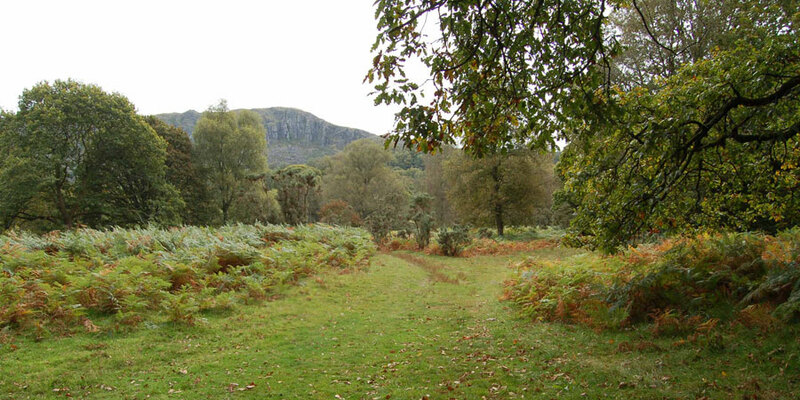 START THIS CIRCULAR WALK FROM DALEGARTH STATION. Turn right on to the main road and follow it until you reach a side road to your left, opposite the old school, and the war memorial. A short distance up this road you come to Trough House Bridge (locally pronounced 'Tro-fuss'). This arched stone bridge crosses a dark chasm gouged out by the River Esk. 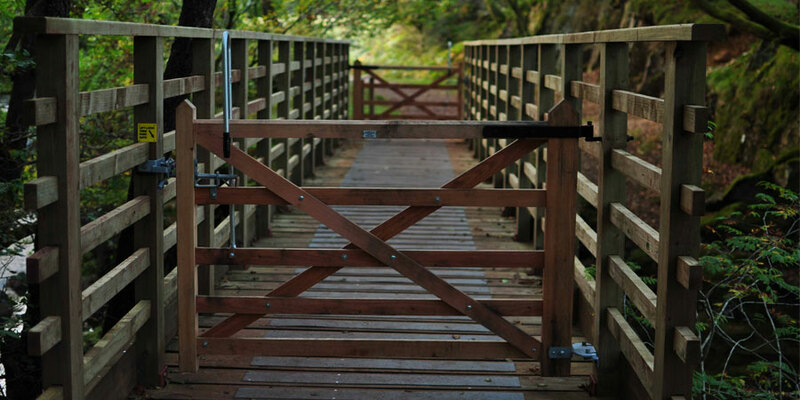 On the other side of the bridge, a gate leads to a delightful new path, called 'Anne's Walk', in memory of Anne Stanley of Dalegarth Hall. The path follows the river round to Stanley Gill Beck. Here, the beck meets the Esk in a wooded glade - a lovely spot to linger for a while. Then, cross the wooden bridge, and follow the bridleway, through the gate, into a grassy clearing, with its dramatic backdrop of Hartley Crag. The broad bridleway will take you to a signpost marked 'to Gill Force' where a path to your left leads to the girder bridge. For a variation on the walk, you can take the footpath to the left which goes down to the river, opposite the church. There is a rougher riverside path here that leads to Gill Force, or you can cut back up to the bridleway. Cross the Esk, at Girder bridge, after admiring the narrow ravine from the safety of this former railway bridge. From Gill Force it is a charming riverside stroll to St Catherine's Church, (see Walk 1 for information about the church and the stepping stones). From here follow the church lane up to the walled bridleway, known as Parson's Passage, just before Church House. This takes you across the fields back to the Trough House Bridge side road. Turning right you now simply retrace your earlier steps to the main road and back to Dalegarth Station.